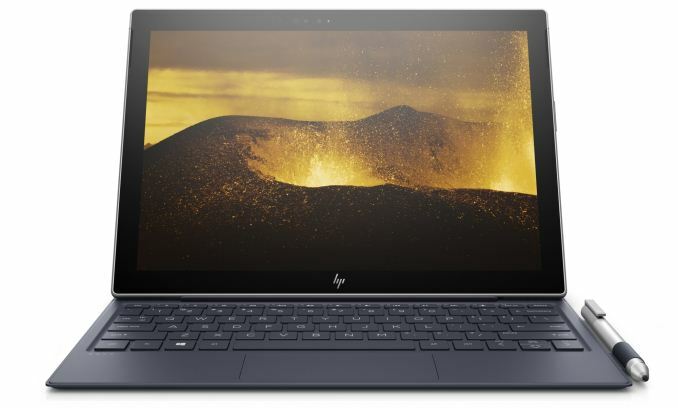 LAS VEGAS, NV — For 2018, HP is updating the Envy X2. These updates focus on longer battery life and connectivity, which HP says will give users the ability to be productive from more places. The latest X2 will debut with Intel's 7th Generation Y series processors and Windows 10 Home. Power thresholds on Intel-Y are raised from to 6W from 4.5W, resulting in an increase in performance (17% in 3DM11 and 20% in PCMark8 according to HP). The Envy X2 with Y series processors will have Windows 10 while the earlier released models with the Snapdragon processor come with Windows 10S. Even with the increase in performance, HP has rated the device as having up to 15 hours of battery life. 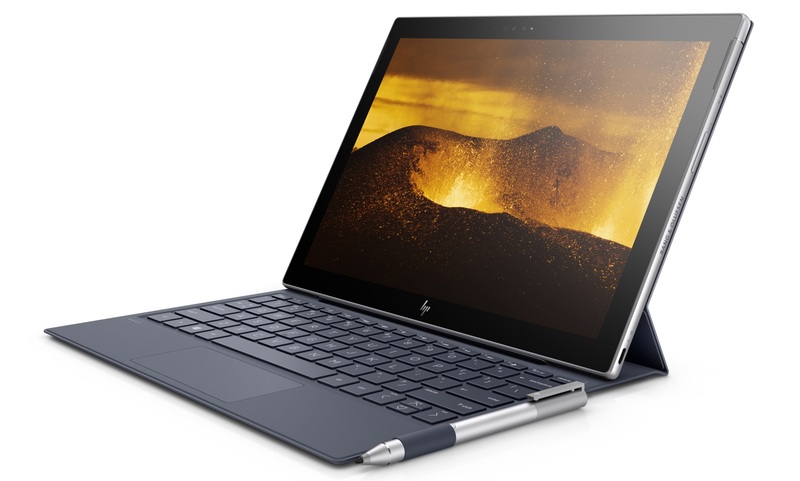 Like the HP Spectre, Envy x2 will use HP Fast Charge technology and is able to send a 90% charge to the device in 90 minutes. The X2 was originally purpose-built for connected productivity with its Wi-Fi and LTE capabilities. Its detachable keyboard gives it three modes for flexibility of use in laptop, reading, and tablet modes. The chassis is made from CNC aluminum, is a fanless design, and will use a Gorilla Glass 4 12.6-inch 1080p display. The device is 7.9mm thick and weighs in at 1.65lbs, with a 12.3 diagonal touch WUXGA+ display. It will hold up to 256 GB PCIe SSD for mass storage needs. It comes with a 5 MP WDR front camera designed for web chats, videos, etc and a 13MP WDR camera on the back. Audio output comes through dual Bang and Olufsen speakers. The backlit keyboard helps in low light situations while its keys give users 1.3mm of travel. The touchscreen supports digital pen-based computing with the HP digital pen and keyboard included. 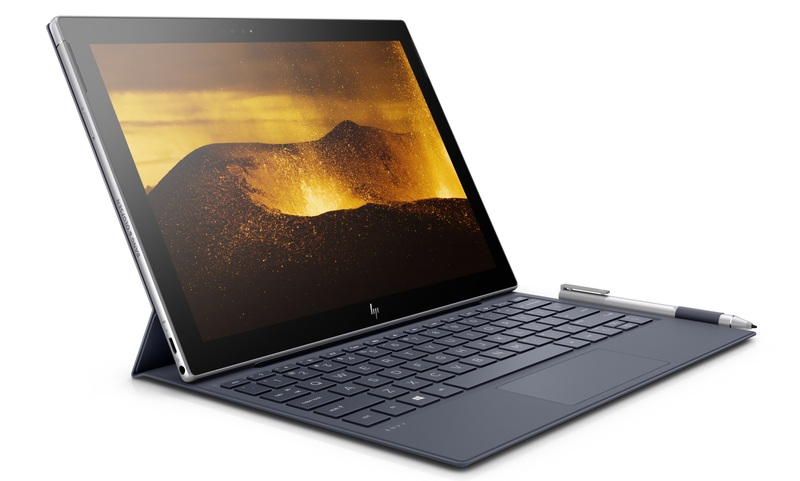 The HP Envy X2 will be available in the Spring of 2018. Pricing and mobile carriers will be released closer to product availability.